As photographers, we tend to care more about our cameras and lenses than the gear we use to process our images, such as monitors. It’s a shame, because it’s crucial too. 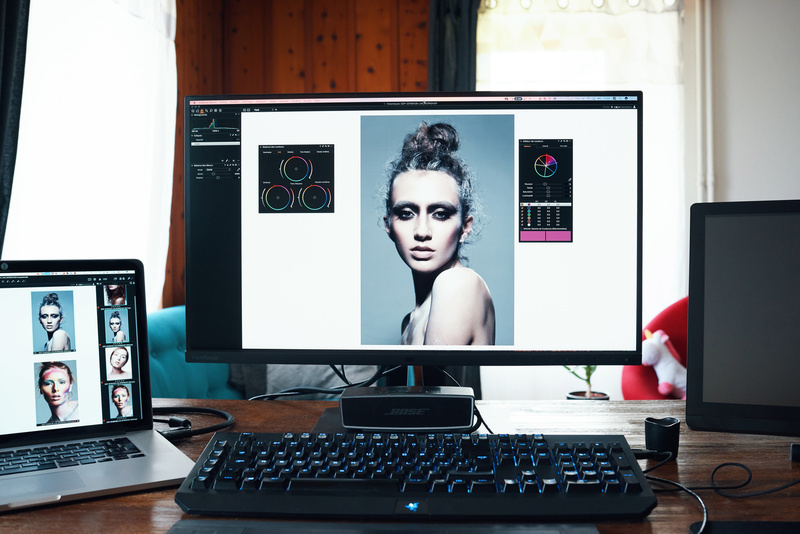 Let’s find out in this review if the ViewSonic VP2785-4K could make your workflow better and easier. 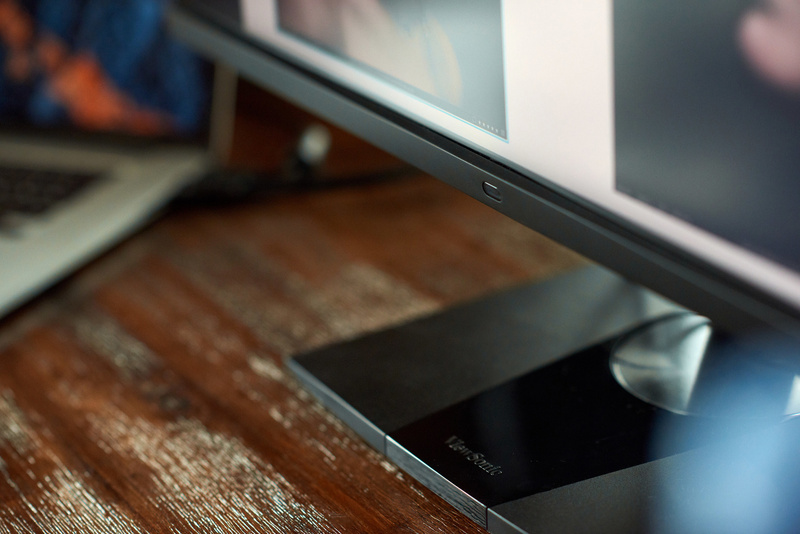 ViewSonic is most likely not the first brand that pops into a photographer’s mind when a new monitor is needed. I’m sure most of you would be looking at other manufacturers before ViewSonic. It’s a shame, because they’ve got a great line of products for photographers, videographers, and graphic designers. I had the opportunity to review the VP2768 a little while ago and loved it. When processing pictures for the web, it is excellent, especially given its retail price. However, it didn’t cover the AdobeRGB color gamut very well, which is a bummer for anyone who wants to use a larger color space than sRGB. I contacted ViewSonic and asked to review the VP2785-4K. After a couple of weeks using it almost on a daily basis for editing and shooting tethered, here are my thoughts. The monitor comes in two pieces, the stand, and the screen. The assembly is straightforward with only four screws to use, and it’s all set to work. The VP2785-4K can rotate clockwise and counterclockwise to be used in portrait mode, and it can also be adjusted in height and titled. 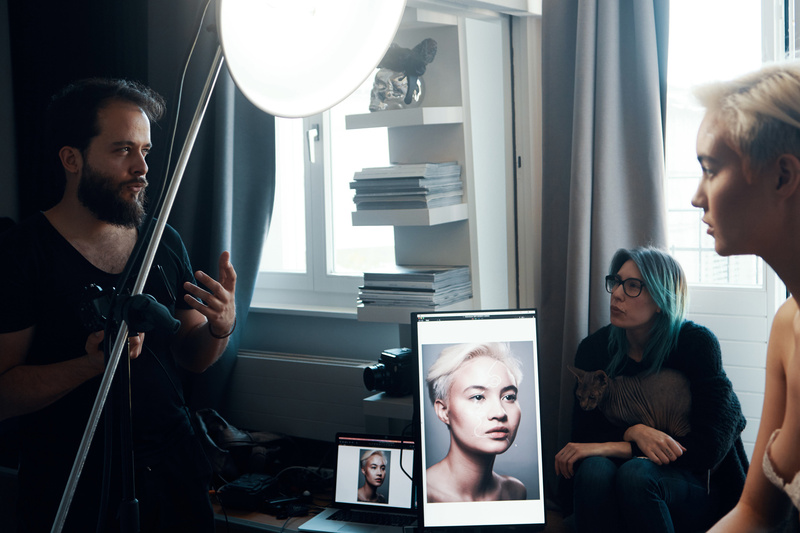 I love editing my portraits with the screen rotated to 90 degrees, and it’s even better when shooting tethered. I only wish the stand was tall enough to allow for rotation without having to tilt the screen to avoid the corner hitting the foot of the stand. Once you rotate the screen in portrait mode, you can tilt it back. ViewSonic also made things as simple as possible for you with their Auto-Pivot app for Windows and Mac, which will change the resolution of the VP2785-4K automatically to fit the orientation in use. It’s a timesaver when working on set and switching back and forth between the two orientations. Portrait mode is great to have when shooting tethered. The VP2785-4K comes with many choices to connect your computer to it: one USB-C (which can be used to charge devices up to a power output of 60 W), two HDMI 2.0, one DisplayPort, and one mini DisplayPort. Included in the original box is a DisplayPort cable, which is excellent, as some other manufacturers prefer not to include the any HDMI or DP cable. 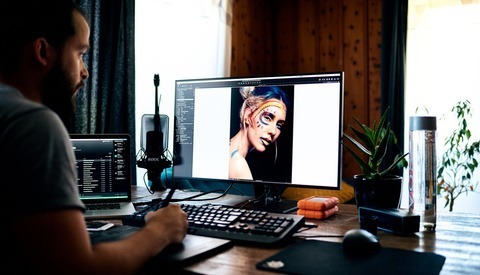 If you're like me, you work on a laptop that you plug into a bigger screen when you work at the office or home, and you probably enjoy having a monitor that can somewhat act as a dock station. It’s the case with this ViewSonic unit. It offers three USB 3.1 ports to plug in any of your devices. I personally wish there were more, but it’s always possible to add a hub on one of those ports to solve the potential problem. The design of the monitor is elegant and simple. There is no frame except for the bottom, where you’ll find five setting buttons and a switch to turn the screen on or off. Additionally, in the middle of the base frame, a built-in light and presence sensor is visible. It’s handy for such a display to have a light sensor, as it helps the unit set its brightness level accordingly to the ambient light. The presence sensor is quite neat as well; you can set it to put the monitor in sleep mode when you leave your desk. Regarding the design, my only complain is the lack of a hood in the package. It’s an additional accessory you’ll have to buy, and I couldn’t review it as it’s not available yet. Finally, one last note regarding the build quality and packaging of the VP2785-4K, the screen is factory calibrated (Delta E <2) and comes with a factory calibration report, but the calibration kit isn’t included. However, you can acquire one from ViewSonic dealers to make hardware calibration possible. The ViewSonic VP2785-4K, like its name implies, can display resolutions of up to 4K UHD: 3,840 x 2,160 pixels. 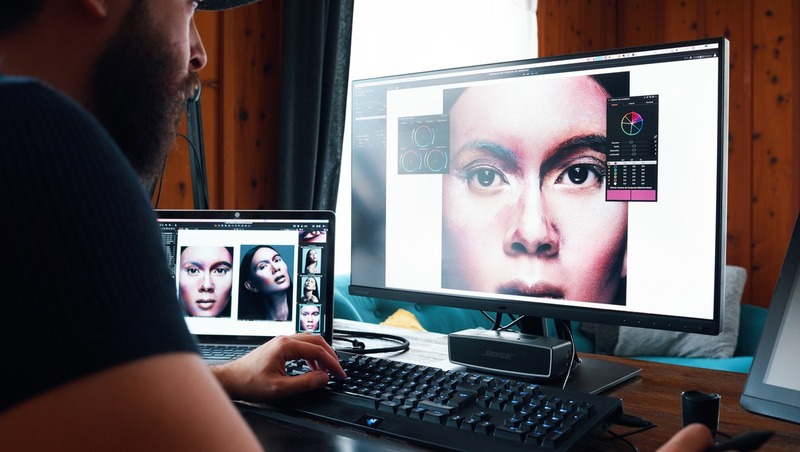 It matches most specs announced by Eizo for the CS2730, which is a direct competitor, such as a contrast ratio of 1,000:1, a brightness of 350 cd/m², and coverage of 99 percent AdobeRGB. However, it comes with additional features the Eizo doesn’t have, and the ViewSonic is available at a lower price, which makes the VP2785-4K a bargain. I'll go over the features I find most interesting and important for my use as a photographer and retoucher, but if you want to learn all about each and every spec of the VP2785-4K, be sure to visit ViewSonic's website. Those fundamental features are not what make this the VP2785-4K great. My favorite ones are probably some that not everyone would think of or need. The very first one is the factory color profiles offered by ViewSonic. 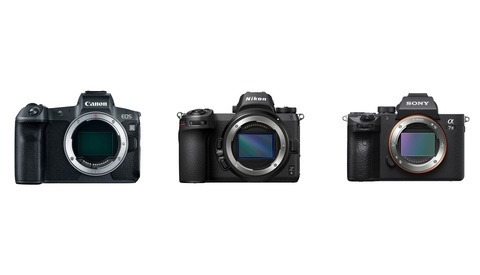 There are a couple to choose from, including sRGB, AdobeRGB, and DCI-P3. However, additionally, there is an iPhone profile. It may probably sound ridiculous to diehard print photographers, but to me, it’s crucial. Most of my clients require images for web use, and nowadays, a lot of people watch digital content on either a MacBook or iOS device. Having the possibility to see what my pictures look like on paper and on an iOS device with a single screen is perfect. The ViewSonic VP2785-4K can also display multiple sources at once. So, imagine you have a computer plugged into the Display Port; you could also plug in your TV box or another laptop using HDMI, miniDisplay or USB-C and then have both sources shown on the monitor. With USB-C, you can also take advantage of the KVM switch feature, but I could not test it as none of my current computers have a USB-C port. However, regarding the multiple source display, there’s yet another fantastic feature to mention. If you edit a picture and want to control how it looks with different color profiles, you can have the same source displayed twice but each with a different profile. For example, one could be shown in AdobeRGB and the other would use the iPhone color profile. Another perk of this screen is the HDR10 support. I don’t shoot HDR videos as I don’t have the gear for it, but people who do will appreciate this feature. Furthermore, those like me who enjoy watching movies may enjoy looking at them in HDR10 if the device and video are compatible. A third feature that I very much can’t live without is the screen uniformity setting. In the menu of the VP2785-4K, there is an option to enable uniformity and thus have color and brightness that are even across the whole display. It works very well except for the bottom part of the monitor, where I can see a clear gradation, which is even more prominent when looking at the monitor from an angle. Every picture was shot in a dim lit room, with the same settings to show the brightness uniformity feature. I don’t know if the anti-glare layer reduces the viewing angle or if it is the display itself, but the specs announce a 178-degree viewing angle from all directions, and in the real world, I didn’t find it to be true. Sure, the content of the screen can be seen from almost any angle, but the color and luminosity are far from great when you move a bit farther than 30-40 degrees. For me, it’s more than enough when editing, but when shooting tethered and coordinating with my team, I would love to have a larger viewing angle that retains a higher image quality. These pictures show you how the viewing angle affects the contrast and colors. One last word regarding the features of the VP2785-4K, for those of you who enjoy gaming as much as editing, like most monitors designed for graphics work, it’s not fast. The response time is 14 ms and can be pushed to 5 ms in the settings if you wish. However, if gaming is your thing, you may want to consider a second screen dedicated to your hobby. The ViewSonic VP2785-4K currently retails for $899.99 on B&H, which is around $330 less than the Eizo ColorEdge CS2730 27-Inch. Furthermore, the VP2785-4K can display in resolutions up to 4K UHD and includes a built-in light and presence sensor as well as a couple of neat features that the Eizo doesn’t offer. The ViewSonic VP2785-4K is an affordable screen when compared to other 27-inch alternative options from other brands. It’s certainly not perfect, but it does, however, offer an excellent quality-to-price ratio. If you are in the market for a new screen but don’t want to pay over $1,000, this is undoubtedly one of the monitors you should add to your wishlist. From the looks of the first image, the monitor appears to have a glossy screen. For my taste that's unfortunate, as the unit otherwise is quite nice. I much prefer a matte screen. It's matte, but it appears a bit glossy because I have a window right next to my desk and the curtain was open for the picture. I wish they made a 32" version, the VP3268-4K is only 77% AdobeRGB coverage. no numbers ? 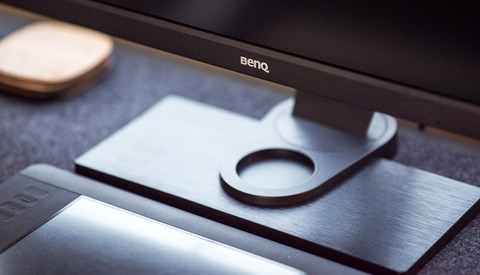 no comparing to say the BenQ which is cheaper and the Eizo or Nec that is more ? And yes, the pictures seen above in the article were all shot with uniformity turned on. DeltaE numbers you got :) what was the factory calibration delta ? did it show the calibration for just sRGB or Adobe or Native on the sheet many do just sRGB ? Yes, a 32" would be nice! I personally appreciate having the choice to use 4K despite the monitor being 27", especially when editing video or watching a movie. Eizo make great (and expensive) products - if you don't care about design. Anyway, the main diference between these 2 displays is their role in the creative chain. Viewsonic plays in the photography and film industry. 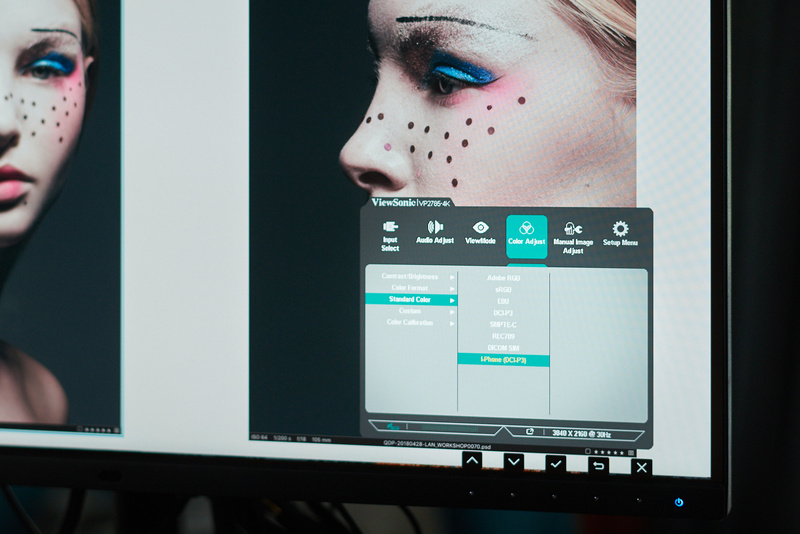 Eizo Plays in the whole image industry including design and print with the CMYK profile. It means - for a photographer - that if you work with your designer on a photobook, for exemple, you could see what will be printed on paper at the end, and adapt the image. But, hey, this is a detail, as many photographer continues to work in aRGB or LAB for their book print. I work on an old eizo (note to me: change your display) because of my dual job as art director and photographer. But I've worked in the past on Viewsonic in the game industry and, they build solid displays! I love them. Do you know if you can calibrate this with the Xrite software and I One Display Pro? Instead of their rebranded xrite calibration kit?